It's time for another Bestie Twin Nails with Alaina from The Little Canvas! Any guesses as to this month's inspiration? Anyone? Anyone? Bueller? Bueller???? Okay fine, I'll tell you! 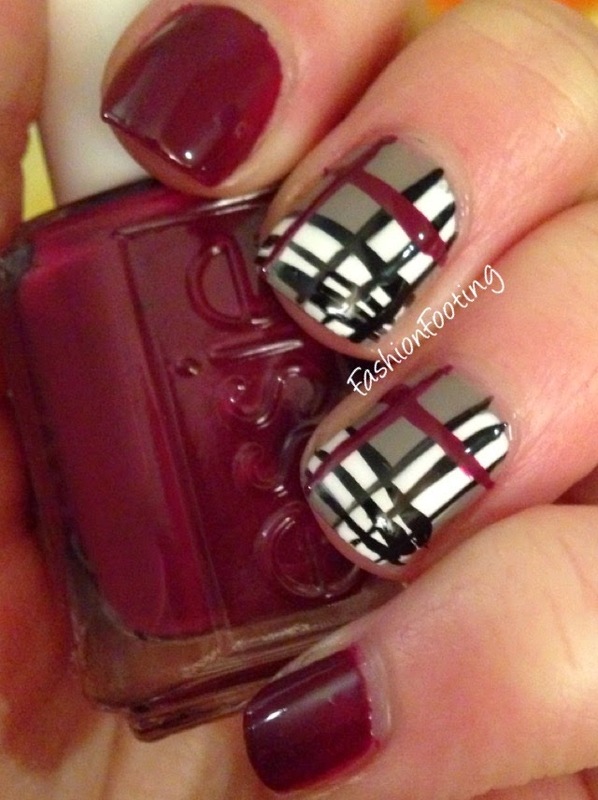 We loved this picture from Nailsbydaniellet on Instagram, featuring a Burberry inspired manicure. 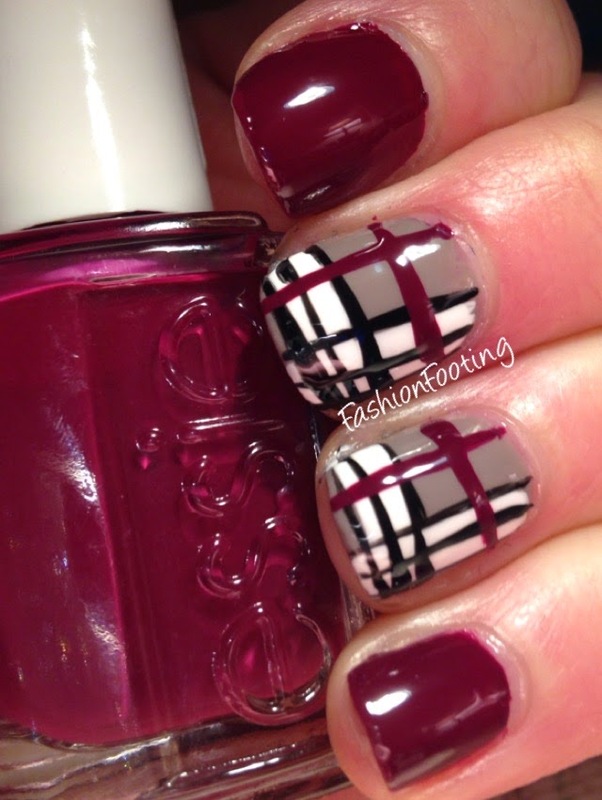 I used Essie Chinchilly on my middle and ring fingers, and this had a pretty terrible formula and was really streaky. Boo on you, Essie. I believe this was 3 coats. Recessionista was 2 coats and had a much better formula. Then I swiped one streak of Salon Perfect Sugar Cube down the nail and one swipe across the width of my nail, let that sit for a minute and striped the black lines using my recently discovered stripers that I thought were lost but were really only hidden next to Mount Polish, which is what I call the stacks of boxes that contain my untried nail polishes that is growing out of control. ANYWAY, that's a different story. Then I used a striping brush and striped Recessionista down the length and one across the width. I was all "ohh look at my straight lines" and then I turned my hands to face me and.. uhh... nope. Not straight at all. We will call this the Bootleg Burberry design, lololo! I did add a topcoat for these pictures. Even though these are far from perfect, I did like these quite a lot!! I'm liking my little foray into nail art, whatchu thaaaank? Now go look at Alaina's nails! !